Home Blog Portable Air Conditioner – The Economical Solution! Portable Air Conditioner – The Economical Solution! Certain spaces in our homes are often missed by inefficient or ancient central air conditioning systems and therefore don’t offer proper cooling distribution in our homes. Areas like bedrooms, offices, garages, and server rooms are usually warmer than the desired temperature due to improper ventilation or air circulation. Luckily, all of this can be rectified or avoided with a portable air conditioner. A portable air conditioner is a small and compact cooling appliance which is mobile, unlike a fixed air conditioner, and therefore can be moved to any part of your house, office or any interior space for cooling specific areas. Although a portable air conditioner doesn’t require permanent installation, it still requires a window for exhaust. Many portable air conditioners also have a self-dehumidification property as they cool. Easy Exhaust: All cooling equipment emits exhaust or hot air and portable air conditioners are no exception. This exhaust is generally vented out of the cooling area with the help of an exhaust hose through windows or sliding glass doors. Most portable air conditioner manufacturers include window kits which take care of the exhaust. Effortless Maintenance: Maintaining your portable air conditioner is a very simple affair. 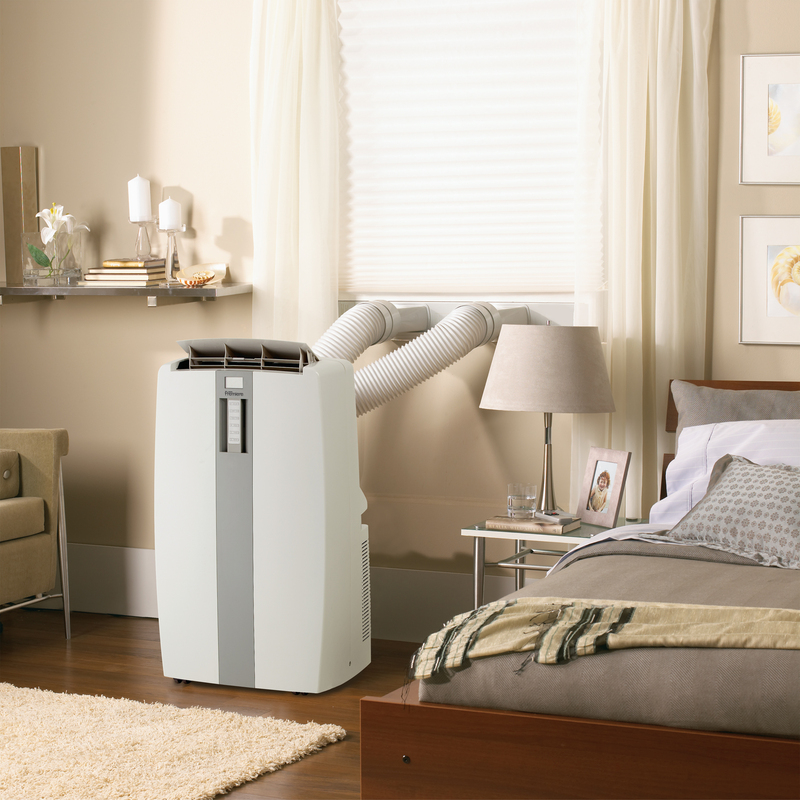 Once you set up a portable air conditioner, it’s ready to get to work cooling your space! However, don’t forget some the basic upkeep of the air conditioner such as cleaning its air filters regularly. This will help ensure your air conditioner is running as energy-efficient as possible. Cost Savings: Deploying a portable air conditioner for cooling specific areas can help reduce your energy bill as the focus is only on the rooms you actually need cooled, instead of the entire home.